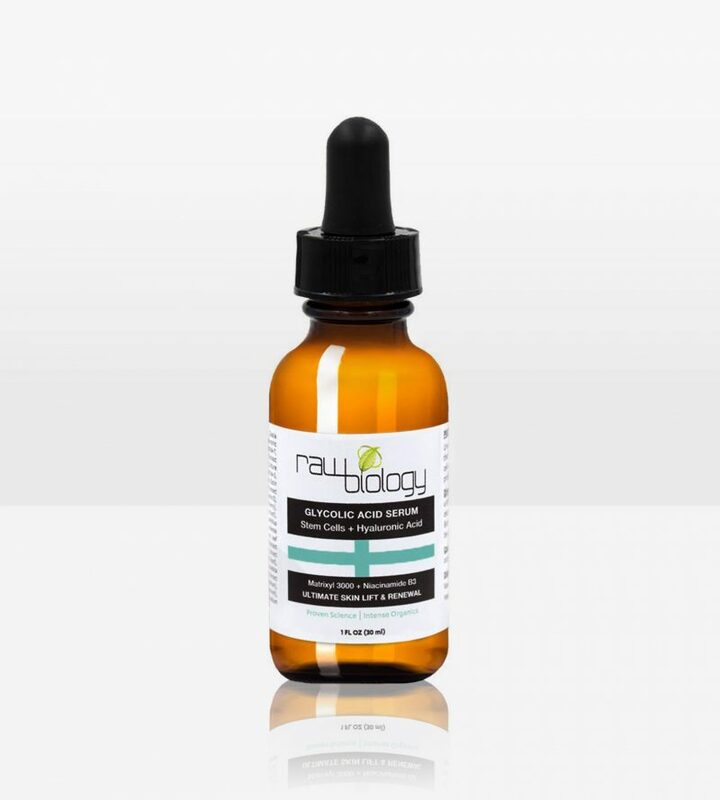 The Glycolic Serum literally plugs the holes in the skin’s cellular matrix and stimulates new production of beautiful, healthy skin utilizing the best of the best in skin care. 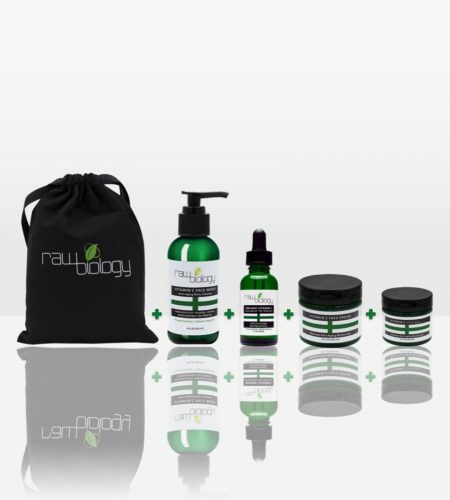 PROVIDES REMARKABLY EVEN EXFOLIATION OF THE SKIN brightening and restoring healthy pH to skin, removing blackheads and fine lines, treating pigmentation, acne and other skin conditions. 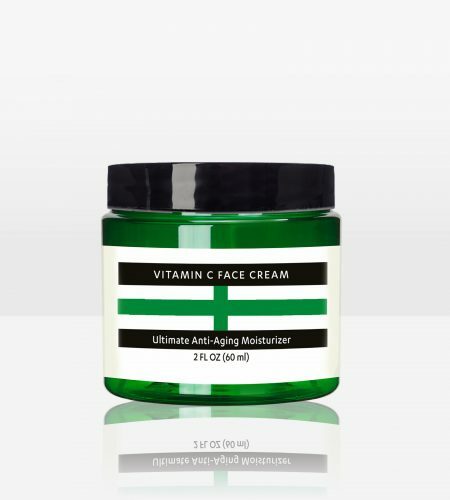 CLEARS UP BLOCKED PORES and BLACKHEADS by releasing dead skin cells and balancing PH to avoid overactive sebaceous glands. 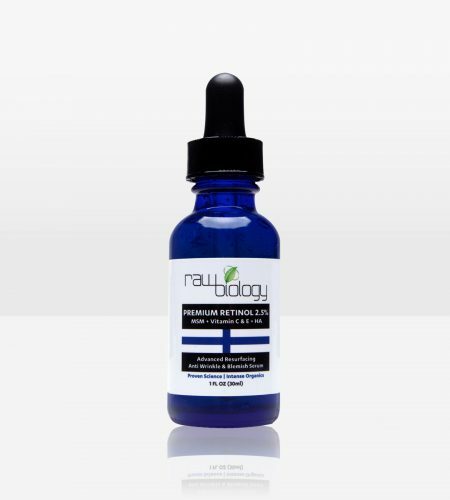 HELPS REDUCE FINE LINES & SIGNS OF AGING by increasing cell turnover leaving the surface of your skin visibly younger, healthier looking. 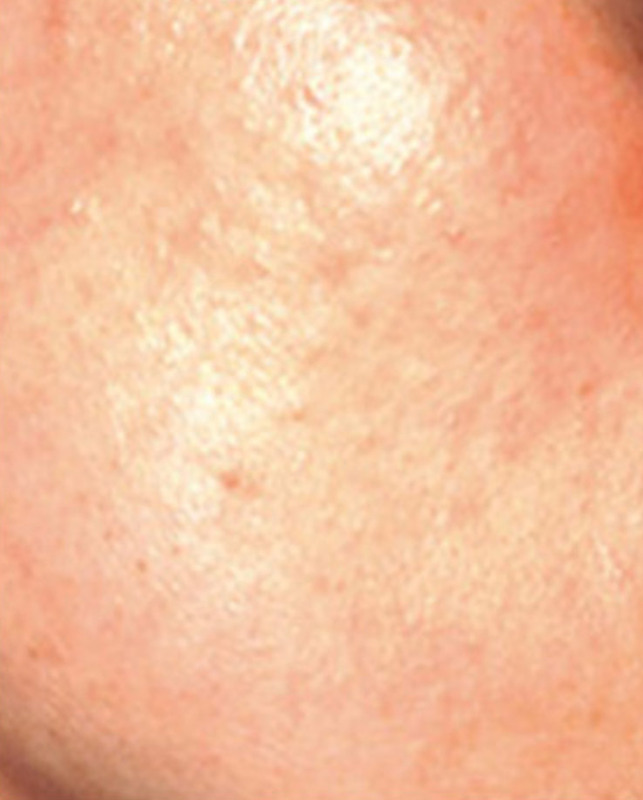 ACNE SCARS & SCAR LESIONS respond well to consistent glycolic acid treatment. MINIMIZE PORE SIZE by keeping them clear and helping the surrounding cells to strengthen and regain elasticity to remain closed. 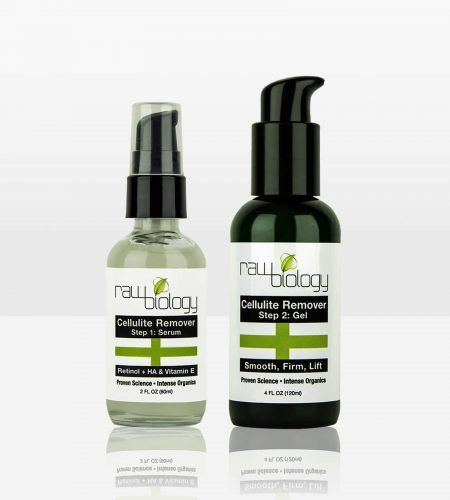 GIVES THE SAME RESULTS AS HEAVIER PEELS when used over a period of time and is much safer and less invasive with no side effects or down time. Eliminates dead skin cells by cleaning out blocked pores and black heads. Reduces fine lines, leaving the skin youthful. 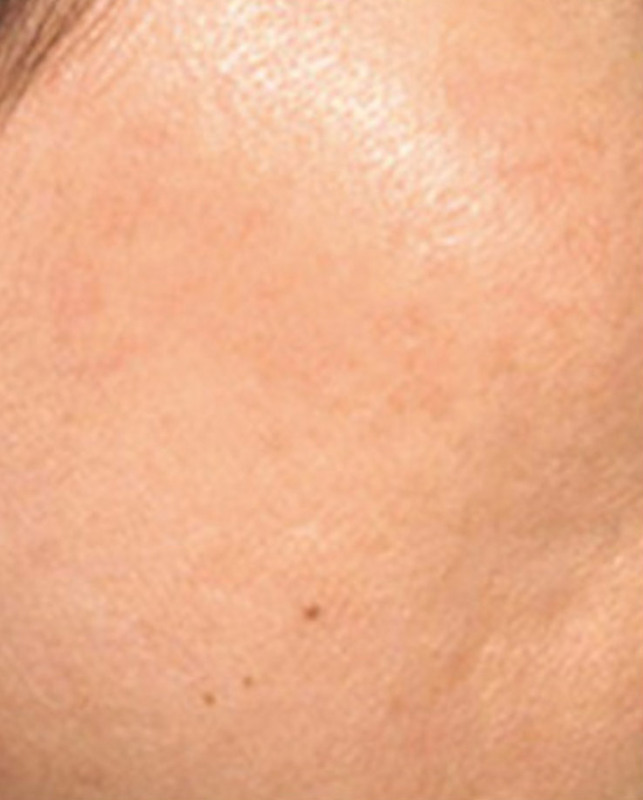 Diminishes the appearance of scars and lesions. Shrinks pore size, increasing skin elasticity. Wash and pat skin dry. Apply a small amount to entire face, neck and chest. 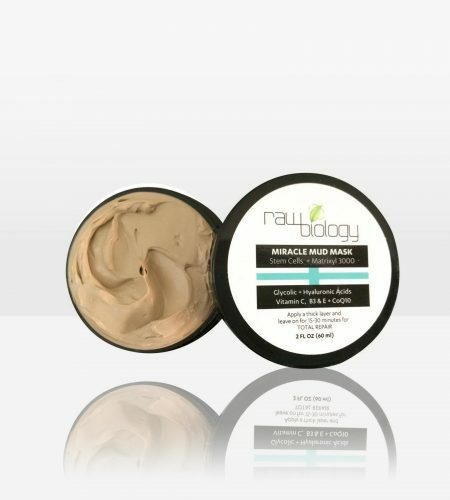 Allow to dry & apply with Raw Biology moisturizers & serums for best results. Can be used daily and under make up. Aqua (Water), Glycolic Acid, Cassia Angustifolia Seed Polysaccharide (botanical hyaluronic acid),Palmitoyl Oligopeptide, Palmitoyl Tetapeptide-7, Niacinamide (Vitamin B3), Aloe Barbadensis Leaf Extract (Organic Aloe), Globularia Cordifolia Callus Culture Extract (Plant Stem Cells), Palmitoyl Tripeptide-5, Alcohol, Sodium Malate, Lecithin, Sodium Lactate, Escin (horse chestnut based), Ascophyllum Nodosum Extract (algae extract), Caffeine, Tocopheryl Acetate (Vitamin E), Arctostaphylos Uva Ursi Leaf Extract (Bearberry), Astaxanthin (Haematococcus Pluvialis Extract), Medicago Sativa Extract (Alfalfa), Panax Quinquefolius Root Extract (Organic Ginseng), Hydrastis Canadensis Extract (Organic Goldenseal), Camellia Sinensis Leaf Extract (Organic Green Tea), Crataegus Fruit Extract (Hawthorn), Juniperus Communis Fruit Extract (Juniper), Ceanothus Americanus Extract (Red Root), Mentha Piperita Extract (Peppermint), Centella Asiatica Extract (Organic Gotu Kola), Equisetum Arvense Extract (Horsetail), Taraxacum Officinale Extract (Dandelion), Geranium Maculatum Extract (Wild Geranium), Hydoxyethyl Ethylcellulose, Carrageenan Gum, Sodium Benzoate, Potassium Sorbate, Ethylhexylglycerin.